For those of you experimenting with yoga and for those who prefer an at-home practice on the cheap, there are plenty of resources on the internet to help you develop a solid routine. 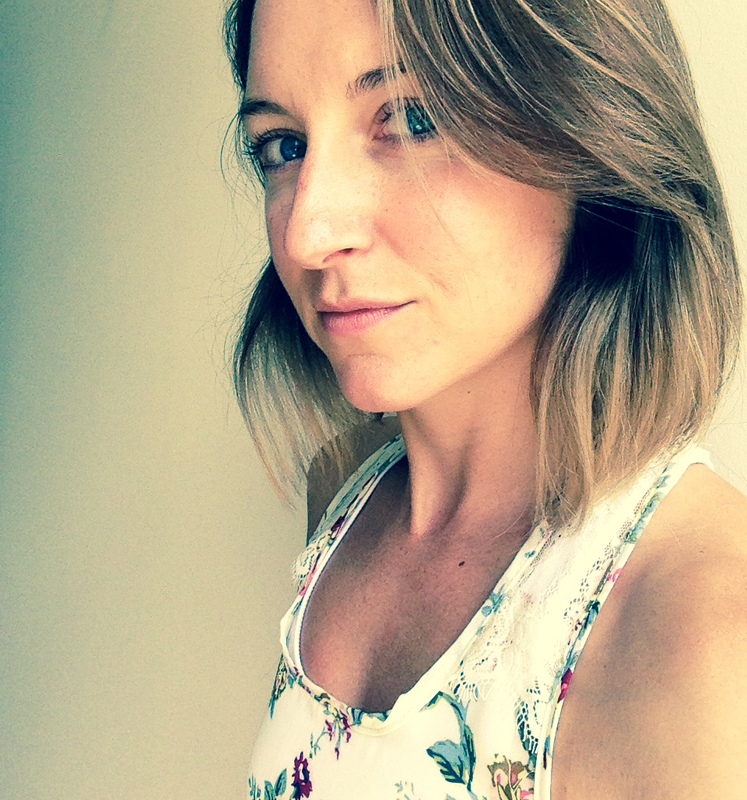 I’ve experimented with many online videos, blogs, and in-person classes and have created a straight-forward routine that I can expand or condense depending on how much time I have and how much I want to challenge myself. My routine also consists of a sitting meditation at the end. In the next couple months, I’ll be working on recording my routine to share with you. In the meantime, however, I have some tips that you can use right now to improve your practice. The number one thing to remember before you start is that you don’t have to be good at all the postures right off the bat. They call it a “practice” for a reason. Perfecting the postures takes time and work, so don’t beat yourself up if you can’t bend over and touch your toes. You’ll also find that you’re more flexible some days than others. Depending on stress levels, nutrition, physical activity, and mental chatter, your body might respond differently to your efforts. Do not despair. Just be aware of how your body is responding and respect it for what it is. In time, you’ll learn how to overcome whatever is holding your body back in order to practice fully no matter the circumstances. Here are five major lessons I’ve learned over the years that make a huge difference. These aren’t really “tips” per se – they’re actually important details that should be part of your practice. So, consider this list a top-five things to remember to do while practicing yoga. I hope it helps. 1. Extend your spine as you bend over. I notice a significant difference in my flexibility and posture when I focus on extending my spine as I do forward bends. Be careful, it’s easy to extend your spine so much that you literally fall forward. Keeping the toes spread is helpful for maintaining balance. When extending the spine, make sure your back is straight on the way down. Extend by simultaneously pulling up (or forward) from the neck and down (or back) from the tail. When you do this once and really feel your spine extending, it will change your bending world forever. 2. Extend as you inhale, twist as you exhale. This is exceptionally helpful for twisting postures where your legs remain fixed and you rotate your spine so that you are looking upward. Examples include: triangle pose, crescent lunge twist, and chair twist. This also applies to sitting twist postures. The idea is to focus on spine extension during the inhale and twisting during the exhale. Extend your spine as discussed in #1 above – simultaneously pull from the neck and tail in opposite directions. Twist your back gently on the exhale. Don’t try to be a hero, but do challenge yourself with every exhale by rotating just a hair more each time. When you come out of the twist, please do so slowly and gently on an exhale so that you don’t pull any muscles. 3. Focus more on keeping your back straight than on touching your toes. Again, don’t try to be a hero. You don’t have to touch your toes to receive the benefits of forward bends, sitting or standing. Instead of your toes being the goal, prioritize proper back posture while bending over. The extension strategy from #1 above helps a lot here. For sitting forward bends, keep your legs together, bend your knees, and hook your big toes with your first and middle fingers. Then, inch your feet away from you slowly to straighten your legs. Make sure your back is straight during this time. When you find that your back becomes curved, bring your feet toward you a smidge such that you can maintain a straight back. Note the location of your feet relative to your body and during your next practice work on straightening your legs further by just a hair, until you can no longer keep a straight spine. These “hair” increments really make a difference in a short amount of time. 4. Keep your shoulders down and back, but relaxed. I often forget to keep my shoulders down and back, but when I do the effects are amazing. My posture is so much better when I get those blades to stay down. Plus, I notice a huge difference in my posture when I’m sitting at my desk later on. The key is to not only keep your shoulders down and back, but to also keep your shoulders relaxed. For desk-dwellers, this may seem contradictory. Oftentimes, we find that it takes effort to keep our shoulders in proper position because we are so used to hunching forward and down. Regular practice is all you can do to make sure your shoulders stay where they should with minimal effort. You can also practice this while working at your desk or walking around while running errands. The more you do it, the faster the results. 5. Relax your face and jaw. I don’t know about you, but I carry so much tension in my face and jaw. I’m a notorious clencher and have developed prominent “thinking lines” between my eyebrows. During my yoga practice I’m usually very focused on the details of each posture, which means I have my serious face on. Whenever I remember to relax my face, I notice a general feeling of lightness throughout my body. It’s almost as if I’ve released all tension and stiffness in my posture. I feel loose and balanced and no longer have that harsh focus. In yoga, we should be practicing “soft focus” instead of an intense, super serious focus. If you carry a lot of tension in your face, jaw, neck, or shoulders, prioritize relaxation in these areas. Stiff muscles don’t like to bend and can be pulled or torn more easily than relaxed muscles. Any other tips or suggestions? I’d love to get your thoughts. 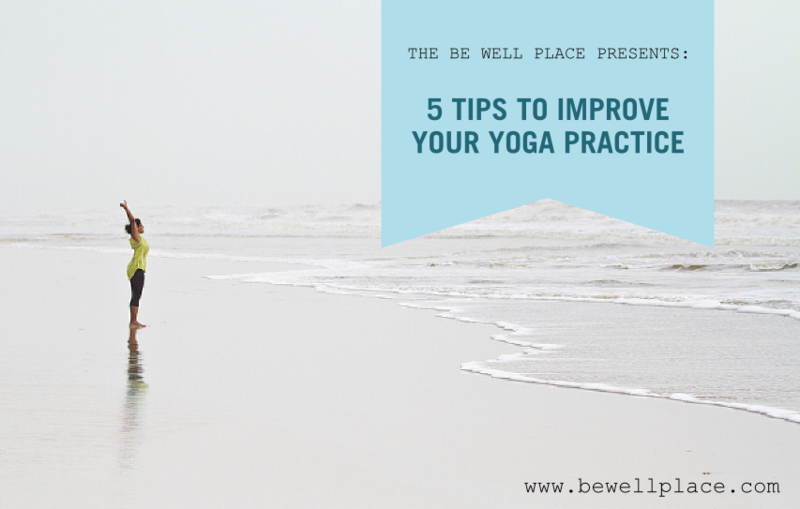 If you’d like to receive emails, articles, and videos regarding The Be Well Yoga Practice, please enter your email below.